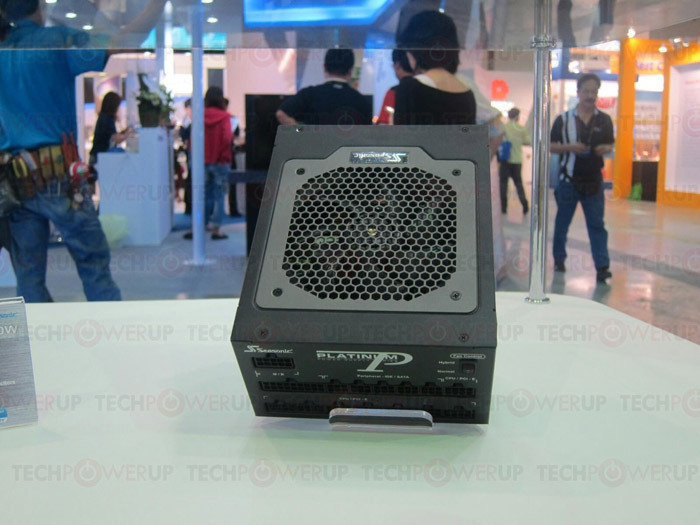 The Taiwanese power supply unit (PSU) maker Seasonic has announced it will ship a new 1200-watt PSU later this year. The new company product, known as SS-1200XP3, will offer 80 Plus Platinum efficiency and will be capable of working at full load for extended periods of time with no problems whatsoever. Furthermore the new PSU will be fully compatible with the latest AMD FX and Intel Haswell processors and will be especially suitable for hardware enthusiasts and overclockers who wish to overclock processors and run various SLI and CrossFireX configurations. The SS-1200XP3 will be a fully modular PSU with high quality Japanese capacitors and a quiet 120 mm fan by Sanyo that will work when the PSU is loaded at 30 per cent or more. The upcoming Seasonic PSU will offer two EPS12V cables for entry-level servers, six 6+2 connectors for video cards, one 24-pin ATX connector, eleven SATA power connectors and eight 4-pin power connectors. As expected the SS-1200XP3 will come with overvoltage, undervoltage and other protections.